Mold spores can spread throughout a structure in several ways. 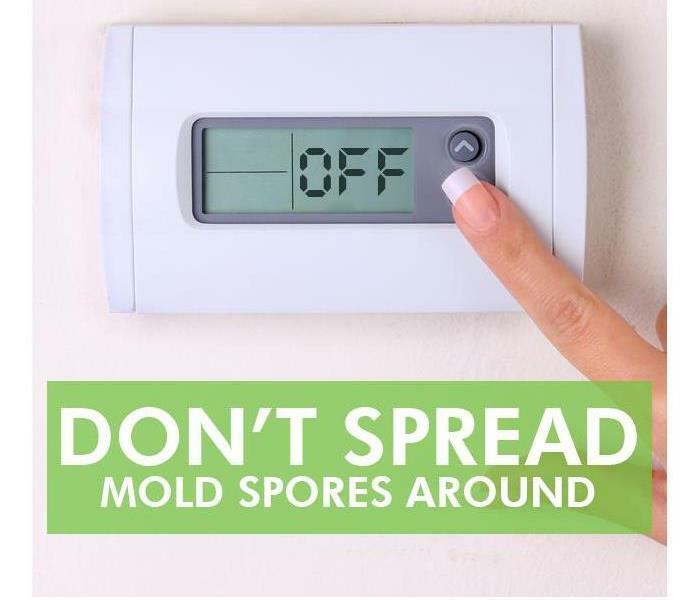 An HVAC system may distribute spores or occupants may physically transmit spores from a contaminated area to parts of a building that are not yet contaminated. There are several ways to limit the spread of spores before and during mold cleanup at a building in Smith Village, OK. Mold may be growing within the HVAC system, or ventilation may spread spores from contaminated areas to areas that are not yet contaminated. If a mold problem has developed during the warmer months, turning off air conditioning can actually intensify the problem by increasing heat and moisture levels. An indoor environmental specialist or remediation expert can recommend effective mitigation measures. Building owners and managers can try to cover these openings and restrict access to contaminated areas prior to remediation. It is important to seal off the contaminated portion of a structure and limit air flow and movement between this area and the rest of a structure. Mold remediation services use two types of containment for moderate or more severe contamination. Limited containment calls for a single layer of polyethylene sheeting. Full containment involves double layers of sheeting, an airlock and a decontamination chamber. A building owner or manager can turn off an HVAC system and cover openings to limit mold contamination. Remediation specialists may rely on containment to stop mold from spreading during mold cleanup. When water damage strikes a residential or commercial property in Valley Brook, OK, a lot of damage can occur over a 24 hour time period. A water damage restoration service often has to have the ability to move quickly in order to prevent the worst. A quick response time can benefit a restoration in a number of ways. The quicker you can begin the drying and cleanup process, the fewer problems you may have. Fortunately, SERVPRO offers a 24 hour fast response time that can get a professional to your property to begin the assessment and plan for repairs before the damage becomes too great. In many cases that use of a dehumidifier may be incorporated to dry the property, and sanitation measures may be taken to prevent mold. Because the response line is always open, you can reach a SERVPRO representative at any time. This allows them to mobilize quickly. They also have multiple locations across the country allowing them to work together to tackle larger jobs and trade equipment as needed to handled various damage types. Since so much can happen over the course of a 24 hour time frame, a water damage restoration service will need to move quickly. This is because the longer the water sits the more damage it can cause. Fortunately cleaning it up quickly can help prevent many types of long-term problems. 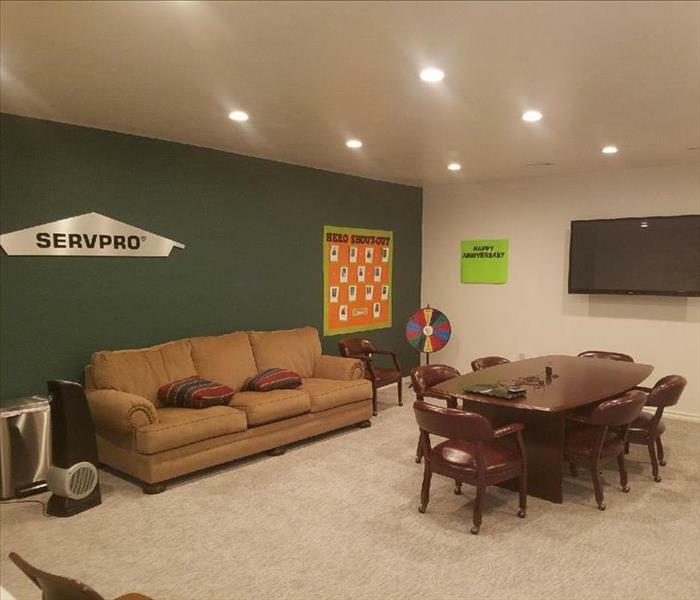 SERVPRO has services in place allowing you to call any time all week. How Should I Handle a Broken Pipe in My Home? A sudden drop in water pressure or a hum in the walls could mean you have bursting pipes somewhere in the house. The first thing you should do is quickly inspect the pipes and try to find where the leak is. But do you know what comes next? Here are some guidelines that can help. Once you locate it, shut the water off at the main valve to stop the flow. This should be treated as the urgent situation it is. Mitigating the damage is critical to the restoration of your home in Oklahoma City, OK.
Once the leak is found and repaired, it is of utmost importance to remove the water in order to minimize the damage it can cause. 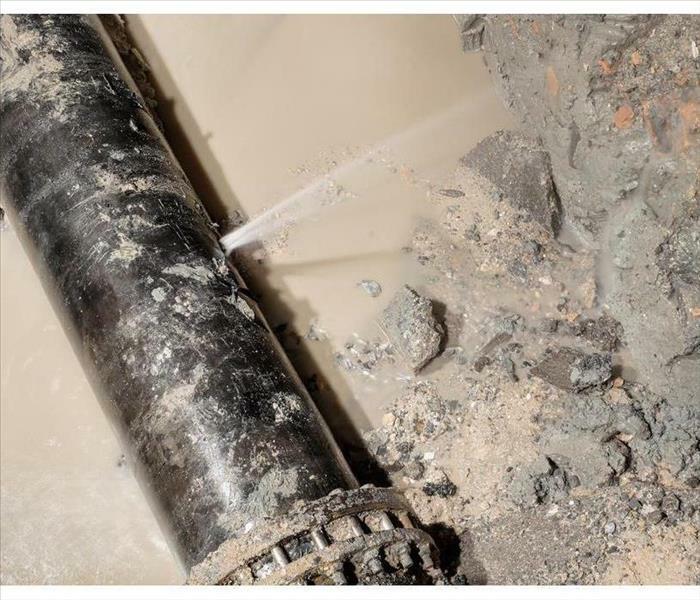 Call a water damage restoration service to assess the water damage from the bursting pipes. They have the professional extraction equipment to remove the water and industrial-strength fans to help dry the area. Carpeting should be lifted, and the padding should be dried out as well. Wood laminate may need to be taken up and the underlayment dried out. 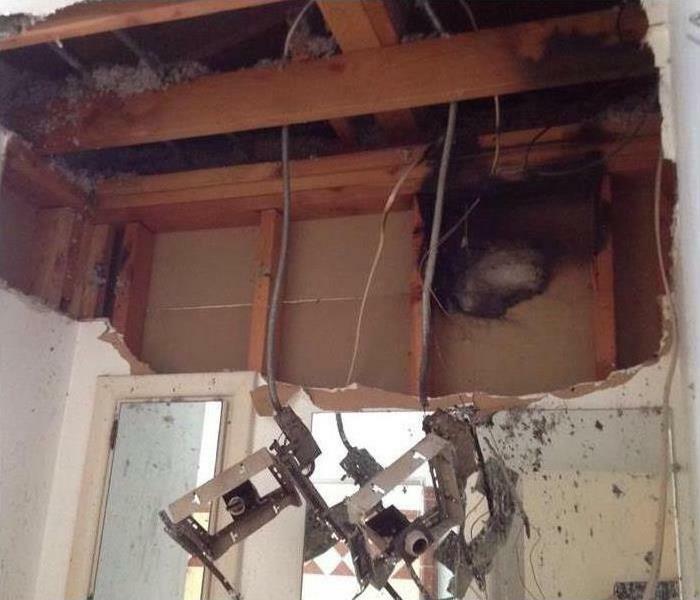 If the water gets very deep, the sheetrock may be compromised. The restoration service will make sure that no nook or cranny is overlooked in order to prevent secondary damage, such as warped studs or joists. Once the cleanup is finished and all has been disinfected, they will likely need to bring in an ozone generator to destroy bacterial growth and a dehumidifier to impede mold spores from taking hold and growing out of control. As a matter of prevention, inspect all of the pipes in your home periodically to ensure that no leaks are beginning, and see to it that they are kept warm during periods of extreme cold. But if bursting pipes do happen, getting help quickly is the key to restoring tranquility in your home. When you find leaks, spills, or wet spots, take care of them immediately. Complete maintenance and repairs correctly the first time you do them. Constantly monitor and control moisture in your home. One of your primary responsibilities as a Smith Village, OK, homeowner should be to prevent mold from setting up house in your residence. Taking care of it once it's already there is the responsibility of mold cleanup and remediation professionals. When the team arrives at your property, it will probably follow the same five steps to clean up and protect your space from further damage. The first step in the cleanup process is to restrict the spread of an infestation throughout your home. Professionals may take steps to confine spores to a small area. There are many reasons that mold may escalate. Proper protection, such as gloves, goggles, and a respirator, helps stop workers from carrying spores to other areas of the house. Sometimes surface outbreaks can be scrubbed away, but without proper remediation, it will just come back again. Unfortunately, mold is absorbed by materials, including drywall and wood. These may have to be torn out to completely remove further risk from your home. Black mold can cause harm in many ways. Specialized equipment and cleansers may be required to thoroughly disinfect the home. Mold growth is basically a moisture control problem. If your home and belongings aren't completely dry, the issue will return. Black mold is a common problem but one that requires a little extra effort to control. Your continued efforts to contain spores, plus the work of professionals, should mean you don't need to worry about new contamination in the future. Most insurance agents and claims adjusters understand how complex and time-consuming residential damage insurance claims in Valley Brook, OK, can be. This is especially true when slow, disinterested and unprofessional restoration companies get involved. Fortunately, claim services do not always have to be this frustrating - as long as an insurance professional has the dedicated assistance needed to take care of a claim in a timely and efficient manner. Each location is locally owned and operated, meaning both corporate and local resources are available to a location’s employees and customers when needed. It is considered to be a “Preferred Vendor” for most insurance agencies, making it a trustworthy choice for insurance providers. Emergency response is a number-one priority in damage situations - all locations have technicians available 24 hours per day and seven days per week to evaluate residential damage from water, fire or mold. 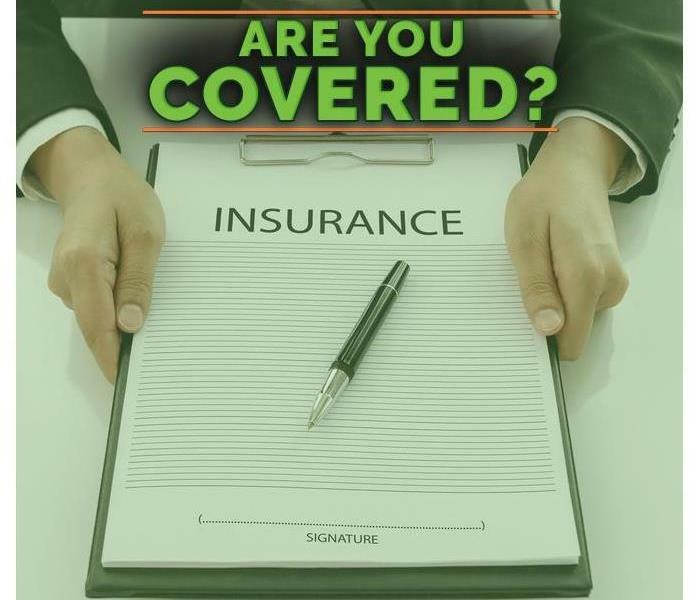 SERVPRO’s emergency-minded approach makes them a great choice for insurance agents and adjusters needing help with claim services. With a 24/7 team of cleanup technicians on their side, insurance professionals can quickly and accurately assess damage to speed up and improve the claims process for the benefit of both the insurance company and its clients - and help worried homeowners get the restoration assistance they need during a stressful and chaotic time. Claims adjusting will always have to be a careful and detailed process, but having a great team of remediation professionals can help it be far less hectic. Any adjuster or agent needing to find a team of professional, competent damage assessment technicians with an emergency response approach to disasters in Valley Brook, OK, can contact SERVPRO and see what a difference excellent attention can make for claim services. Mold is a real nightmare for any homeowner. Spores quickly spread throughout an area and can take up residence in furniture, clothes, and carpets. Damp areas are particularly in danger of fungus growth. 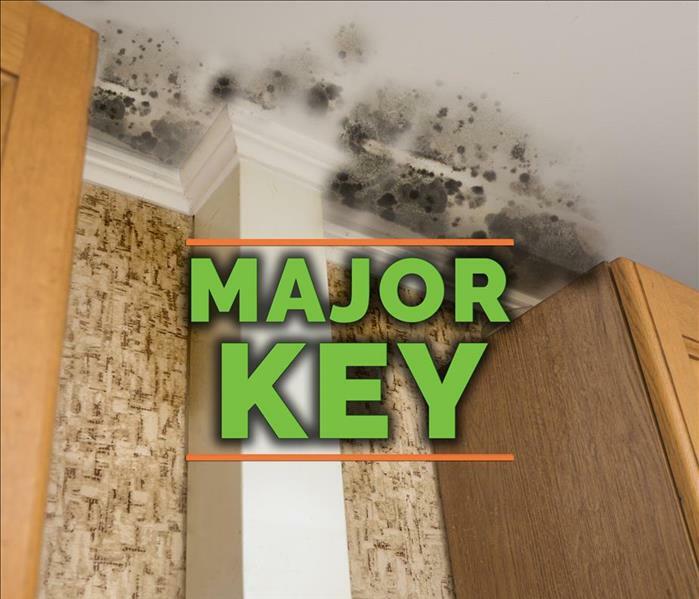 Oklahoma has high humidity, and fungi love high humidity, so householders in the area need to be on the lookout for mold. When you find telltale black (or any other color) spots or notice the distinctive musty smell of mold, it is time to call in SERVPRO. There are many stages to remediation of mold damage in your Oklahoma City, OK home. One of the most vital steps is cleaning the air of mold spores. No one wants mold spores in the air of their home if it can be avoided. Not to mention the fact that airborne particles travel to other locations within your house and potentially set up new colonies when they land. Our IICRC-certified technicians start by sealing off affected areas and create contained working stations. 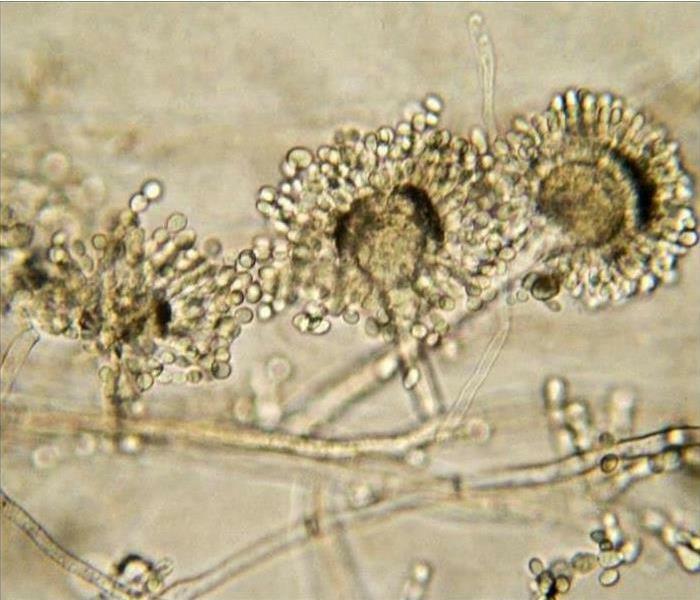 This isolation prevents further spread of the fungi throughout your home. One key aspect of mold remediation is removing airborne spores from contaminated areas. If most of these spores are not removed, remediation is not complete because they can spread. Air scrubbers are built to filter even small particles such as fungus spores. They draw in air from the surrounding environment and pass it through a series of filters to remove particles. Air scrubbers can be used to remove lead, dust, asbestos, chemical fumes – and mold. This cleaning is a vital part of mold remediation both because of already airborne mold and due to the possibility of more spores becoming airborne as cleaning takes place. Air quality is key. Our professional teams come equipped with HEPA filter air scrubbers. A HEPA (or High-Efficiency Particulate Air) filter traps small particles. To be considered a true HEPA filter, a filter must have been tested and shown to remove at least 99.97% of particles of 0.3 microns in size. SERVPRO only uses true HEPA filters in our mold remediation process. Another way we limit the spread of contaminants is by the utilization of a negative air machine. This piece of equipment is often used in conjunction with air scrubbing. We create negative air pressure by using ducting to remove contaminated air from the area and vent it outside. This creates a vacuum effect which helps limits the spread of airborne spores. Cleaning air and removing contaminated air reduces the risk of the mold moving throughout your home. This process can also include installed HVAC systems. If you have mold in your house, do not wait. Call SERVPRO of South Oklahoma City at (405) 677-4000 today for assistance. Most states require property owners to have commercial insurance coverage. If your business is run out of a leased facility, you may be wondering what your financial obligations are after a flood or significant water damage. While business and renter's insurance will help you through the inevitable business interruption, there is the bigger picture of culpability and responsibility. Most of the answer depends on where you live and your lease agreement. Most states require property owners to have commercial insurance coverage, and they also hold property owner’s accountable for repairs. However, depending on where you live, owner’s may be able to share responsibility with tenants under certain circumstances. You may also want to review your lease agreement because there may be line items that refer specifically to water damage and who is ultimately responsible for the repairs. Your renter's insurance provider may be able to help you understand your rights as a tenant as well. In most states, the property owner is responsible for the structure of the property, and the tenant is responsible for their personal property. In regards to businesses operating out of leased facilities, this means that the owner is responsible for the facility and you would be responsible for damaged equipment, which is likely covered under your business policy. While the owner’s property policy likely covers restoration work involving the structure of the facility, any damage done to your business, like inventory and equipment, is considered a personal business loss and will likely be covered by your insurance. You can contact your insurer or a disaster restoration specialist in the Oklahoma City, OK area for more details. A flood is devastating for a business, but especially when that business operates out of a leased space. In most states, the property owner is responsible for structural issues while your business and renter's insurance is responsible for personal property losses. You may be wondering if you really need the help of a hygienist when you can just check for mold on your own. The answer is yes. While you can certainly see for yourself when you have visible mold, there are cases when you might be unaware that your Oklahoma City, OK home needs mold cleaning. Only an environmental hygienist, or industrial hygienist, is certified to check for mold in your home. Here are some circumstances in which you may need a certified industrial hygienist. If you have had a leak or any sort of plumbing issues, such as burst pipes, you might have mold damage in places that you can’t see. Sometimes, mold hides behind walls or underneath carpets and you have no way to check for it. In this case, a hygienist can conduct tests to see if the water damage has caused any mold. 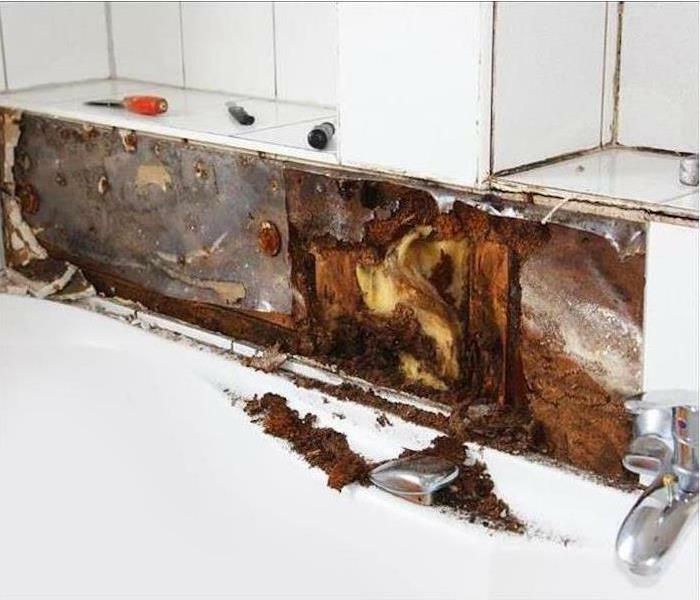 In some cases, you may be able to smell mold but not see it. 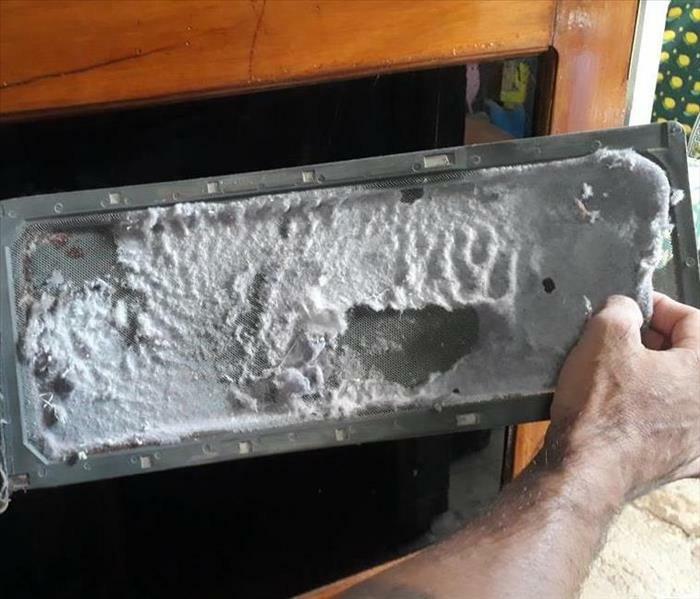 This can make mold cleaning difficult. Mold creates a musty scent that can be quite strong. A hygienist will be able to locate the mold that is creating the smell in your house. Mold can be a difficult problem to get rid of and even if you have had mold remediation done in your home before, it is possible that there is still some lingering growth. After you have had mold removed, it is a good idea to have a hygienist conduct an inspection to make sure that the mold levels in your home are no longer above normal. When you are unsure if you need mold cleaning in your home, calling in the help of an industrial hygienist is the best course of action. As a professional, they will be better able to tell if your home has problems with mold growth. You care enough about your home in Oklahoma City, OK, to protect it with an insurance policy covering water damage, but are you sure you’ll fully recover your losses if bursting pipes unleash buckets of water inside your home? Here are some ways you can help ensure you won’t come up short. Before taking steps to fix broken pipe damage, document everything affected. Don’t throw away anything that’s been damaged beyond repair; take pictures of everything first or make a video. It’s a good idea to also take photos or videos of your house and belongings when you first get your policy or when you make changes to your home. 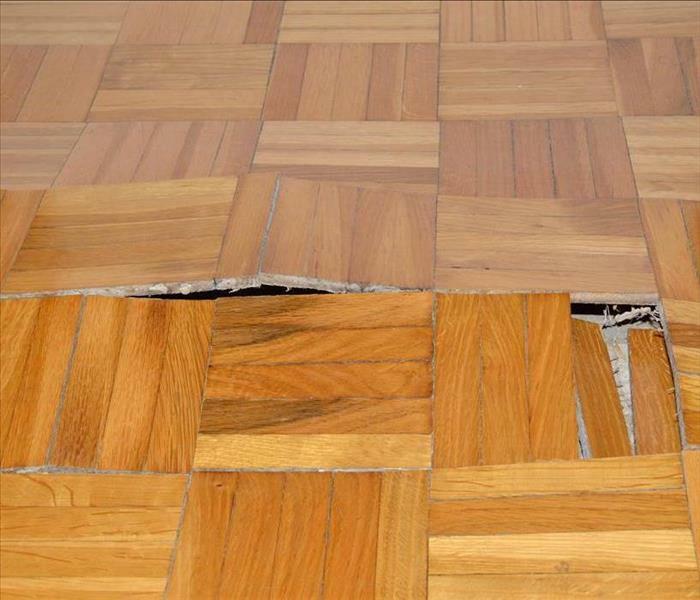 A before-and-after damage demonstration can help substantiate your claim. Be aware of any exclusion and exception terms in your policy. Find out from your agent what all the terms mean; certain types of damage from bursting pipes may not be covered. Water damage from long-term gradual pipe leakage, for example, may be excluded; only sudden or accidental damage may be covered. An adjuster could then conclude that damage reported in a claim could have been prevented if you had not neglected certain maintenance, inspection or repair issues. To help prevent a claim denial based on gradual or long-term leakage, have your plumbing system inspected regularly by licensed professionals. Obtain inspection reports and keep records of all maintenance or repair work performed. Contact a professional 24/7 emergency clean-up service as soon as possible. You’ll want to choose one that provides a thorough and reputable contents claim Inventory service. You’ll be better prepared to file a claim with sufficient picture and paper documentation, a full understanding of policy terms and a proactive approach to inspections and maintenance. Taking these steps can help you gain the confidence that you’ll be fully covered if your home in Oklahoma City, OK, is damaged by bursting pipes. 3/17/2019 - How Should I Handle a Broken Pipe in My Home?